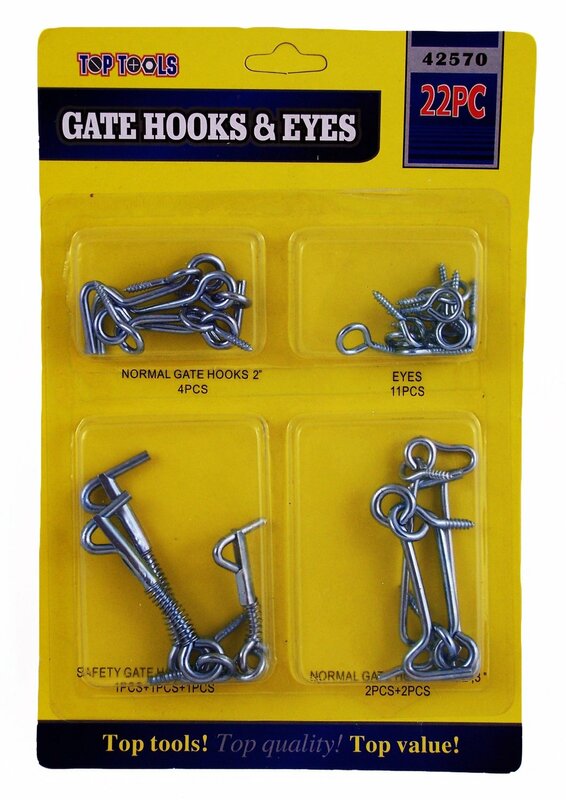 22 Piece Gate Hooks & Eyes Pack. Normal Gate Hooks: 2″ x 4 Pieces. Safety Gate Hooks: 2″, 2-1/2, 3″ – 1 Piece each size. Normal Gate Hooks 2-1/2″, 3″ – 2 Pieces each size. Prevents unwanted opening of drawers, cabinets and gates.